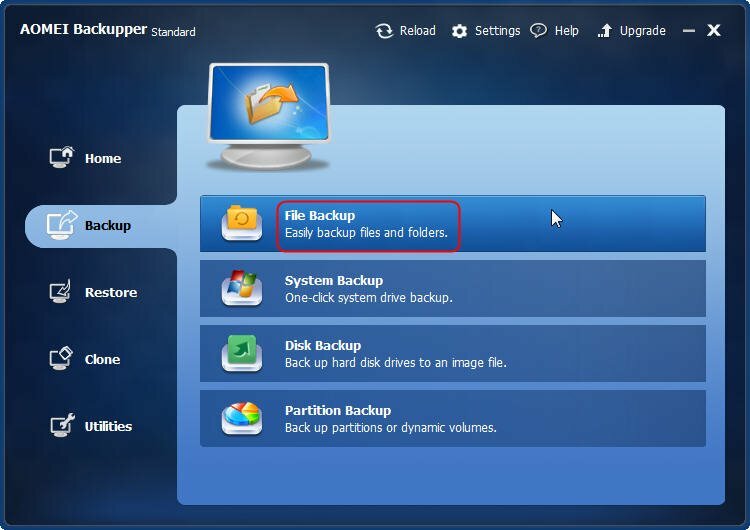 What Files to Backup in Case of Data Loss? Without data loss, what files to backup? These files must contain the data we value most. In most cases, they are stored in C drive. Why we need to backup our files on PC? Just as we need to cover insurance for our cars, we should get a protection for our computer files. Although we obey the traffic rules by ourselves and do not make damages to our cars, we can’t control others. Other people’s illegal behaviors may subject our cars in risks. Similarly, even if we perform accordingly with our PCs, our computers still have the risks to be attacked by viruses and hijacks. Once be attacked, all the matters including files are likely to be lost. Even worse, if we did not backup those things before accidents, they are lost forever. Therefore, it is critical to backup those ones beforehand. Thus, we can restore what we lose when crash happens. In general, backup what you consider important! Then, what files are vital? This depends on individuals. Different people have unlike opinions. Here, what most men’s ideas are listed for reference? Nearly all documents: Those consist of word documents, excel tables, ppt and many other kinds of documents. They involve most in our work; so they are of great importance. Pictures and videos: they are the precious memories of us with our families and friends and some also are for job use. Losing them will cause great pain to us. Music: Music is an indispensible part in everyone’s life and some songs are worthy to be kept forever. Sometimes, some songs are hard to be got again or even unable to be regained once they are lost accidently. Important emails: If important information is contained in these emails, they should be backed up. Some necessary applications: Though we can have lost applications back by reinstall them, it costs much time, effort and even money. However, if we have their image files through backing them up in advance, it will be much easier. Just restore them using the same software which we have used to do backup work. What software can do backup work for us? There are many sorts of software or services which can help us to backup our important files, such as the freeware AOMEI Backupper Standard Edition. Actually, Windows itself carries the service of files backup and restoration. However, Windows built-in backup service has some limitations or it does not support to compress image files. Therefore, it’s better to choose a kind of third party software like Backupper. Please refer to the screenshot below.